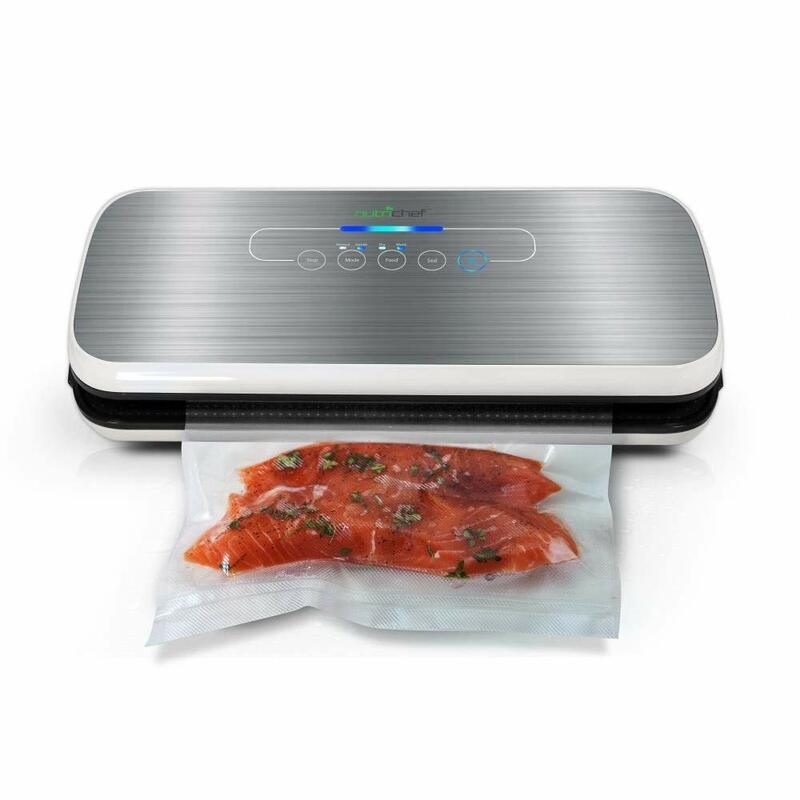 Vacuum sealing locks in moisture and flavor while depriving bacteria and mold of the oxygen it needs to grow. Liquids and solids have separate modes, but if you’re worried you can always just seal the bag twice! With a dense protein like a steak, marinating in a vacuum while pristine is not faster then marinating in a bowl filled with air. Cooking in a hot water bath that is well below boiling allows a degree of accuracy that conventional ovens can’t offer. The thick and the thin pieces are both tender and medium rare versus over and under cooked due to varying thickness. The advantage of cooking a vacuum sealed ingredient is sanitary. Sous vide water bath temperatures do not kill all dangerous bacteria. But by first placing your recipe in a vacuum, you avoid this problem (assuming you get a good vacumm seal).